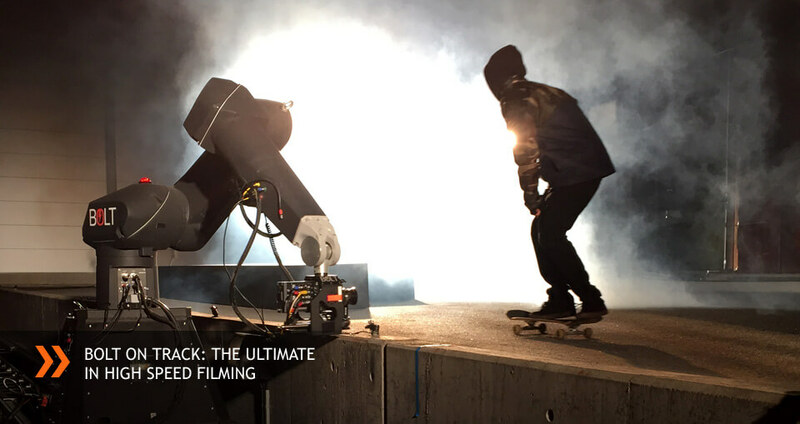 The perfect partner to Love High Speed’s slow motion cameras is the cine modified manufacture industry robot arm from Mr Moco Rentals. High speed cameras have been creating amazing shots in commercials and films shooting high frames rates at 1,000 fps or more for some time. In order to make these shots more exciting film-makers have been asking how to get the camera to not only shoot fast but also move fast at the same time. Mr Moco Rentals answer that question with the Bolt High Speed Cinebot. Bolt has the ability to get up to full speed almost instantly so that the camera can go from standstill to high-speed motion and back to standstill in fractions of seconds, literally following falling objects and capturing images that would be impossible by hand or any other method. Combined with the Flair motion control software, the Bolt rig is quick to program moves and offers all of the features for importing moves from 3D packages and exporting moves. General inputs and outputs can be programmed for triggering at an exact time, such as the pour of a beer, the turning of an object, etc. Bolt can be set up in a studio ready to shoot in under an hour. For high speed moves it is important the base of the rig is fixed to the floor, this is done by weighing down the unit with the weights provided. 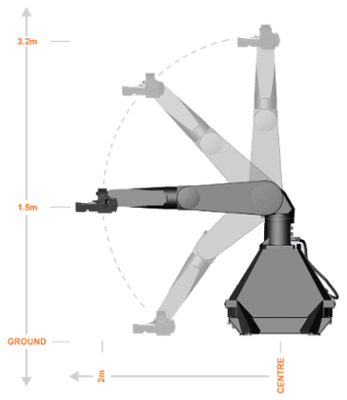 The Bolt High Speed Cinebot can also be track mounted to allow tracking of the entire unit, adding further dimension and scope to this system. For this, the track must be screwed into the solid ground for stability. As well as countless professional shoots for commercials, TV dramas and feature films, Love High Speed and Mr Moco Rentals have collaborated on several demonstrations. These open days have shown the unique abilities of high speed cameras and the Bolt rig to a wide range of industry professionals. Videos released by Mr Moco Rentals further demonstrate some of the many uses for this Cinebot Bolt rig as well as the new feature of the track system to move the entire rig. Contact Mr Moco Rentals to arrange a demo or to discuss your requirements and get expert advice from one of our experienced motion control crew. For information about the use of high speed cameras with the Bolt, Contact Love High Speed.